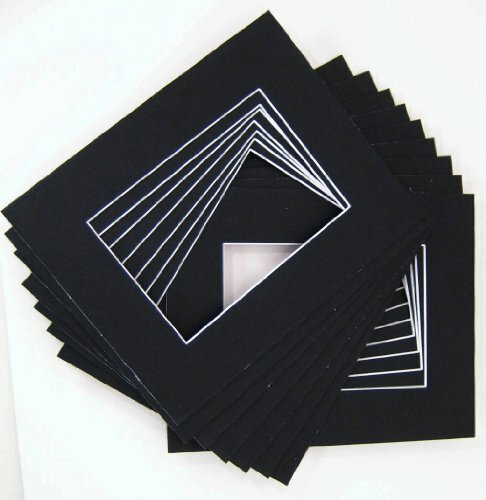 Pack of 20 11x14 BLACK Picture Mats with White Core Bevel Cut for 8x10 Pictures. This item comes with 20 11x14 single mats. Inside (opening) Size: 7.5x9.5 (bevel cut), Color is Black. White core and 4-ply thick (about 1.4 mm or 1/16 inch).